After a count of absentee and other ballots on Tuesday one of Alaska's most powerful state lawmakers is the presumptive winner of a previously razor-tight, primary race marked by voting irregularities and the fierce opposition of her own Republican party. Rep. Gabrielle LeDoux, R-Anchorage, now holds a 113-vote lead after she was initially down by three votes to opponent Aaron Weaver following the Aug. 21 election last week. Weaver has acknowledged he did virtually no campaigning, and has said he spent no money on outreach, leaving observers stunned by the early results. Officials with the Alaska Republican Party, which supported Weaver, acknowledged LeDoux was the apparent victor, since only a small number of absentee and questioned ballots likely remain to be counted. But party Chair Tuckerman Babcock questioned the race's legitimacy and said he intended to field Weaver as a write-in opponent to run against LeDoux in the November general election. "We certainly do not acknowledge Gabrielle LeDoux as a Republican candidate," Babcock said. LeDoux said Tuesday that no voter fraud was committed by her or, to her knowledge, by anyone associated with her campaign. She said she does not suspect anyone working on behalf of the campaign did anything wrong. "I will state categorically that I certainly was not filling out ballots for people and I have no belief that any of my campaign workers were filling out ballots for people," LeDoux said. The turnaround for LeDoux came amid suggestions from Babcock of intentional wrongdoing linked to LeDoux's campaign. The elections division on Monday reported finding irregularities that included seven absentee ballot applications sent in under the names of people who are dead, and absentee votes cast in the name of at least two people who said they had never actually voted. Those two votes were not counted. But following a division review, 26 absentee votes with residency or legitimacy questions were counted Tuesday. Those have been set aside by the division in case the issue goes to court. Those votes were all in LeDoux's favor, according to counting records. Babcock said that's suspicious. "These are felonies … somebody should go to jail for trying to cheat in an election," Babcock said. LeDoux shot back: "(Babcock) has absolutely no evidence to show that I committed fraud, none whatsoever." Whether a criminal investigation is underway is uncertain. Division officials notified the state criminal division of their findings. On Tuesday, an elections spokeswoman referred questions to the Department of Law. John Skidmore, director of Department of Law's criminal division, said he would not comment on the issue. LeDoux said she has not been contacted by the Department of Law or anyone else regarding a criminal investigation. 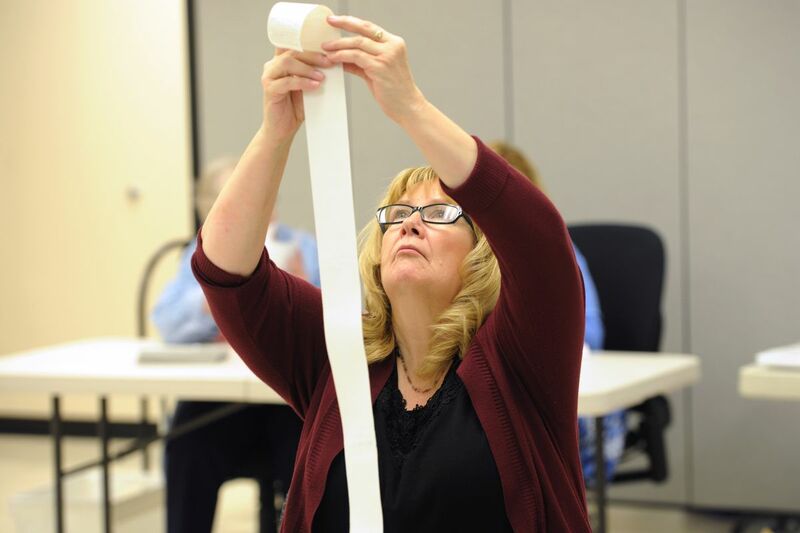 The incumbent said the Elections division has not provided her with the names of the voters on the two tossed ballots, or the 26 other ballots, or the applications sent in the names of deceased. That has prevented LeDoux from attempting to contact voters to try to understand why the irregularities exist, she said. The incumbent said she suspects some of the problem ballots identified by the division might belong to Hmong voters, possibly due to language barriers or confusion over identical names that she said are common in the Hmong community. Among LeDoux's larger campaign expenses was $11,750 – not including airfare – that her campaign paid a Fresno, Calif., man for "strategizing, translating and working on getting out the vote amongst various ethnic communities in Muldoon." Charlie Chang focused his outreach efforts with Hmong voters who speak limited English and often aren't familiar with the voting process, LeDoux said. The campaign paid Chang $1,750 on Jan. 29 for "election participation in the Hmong community," and paid him another $10,000 on July 19, according to campaign finance filings. The campaign also used miles to purchase airline tickets for Chang in July, Alaska Public Offices Commission reports show. Chang could not be reached for comment Tuesday. A woman who answered a phone listed under his name said he was not available, and referred a reporter to another number that had a full mailbox. LeDoux said Chang is a respected voting advocate and activist in the Hmong community. "I know him to be an honorable person, and I don't have any suspicions he did anything wrong," LeDoux said. The problems in the race highlight the effort some candidates take to encourage some voters to request and send in absentee ballots. LeDoux said absentee votes are her "insurance policy" for tight races, and she worked them "very hard" this year. LeDoux has been at odds with the party following her 2016 decision to join the House Majority coalition, helping put Democrats in power in the House. She blamed her early deficit partly on the "pounding" she got from the party the last two years. Going door-to-door, LeDoux encouraged supportive voters with spotty primary voting records to apply for absentee ballots, she said. She also mailed application forms to people. "The two days before the election and the day of the election I was calling the people who I know are absentees and who I suspected were my voters … and saying to them either vote the absentee ballots you were sent or go to the polls and vote," she said. She worked with English-speaking voters. Others focused on limited-English voters, she said. "Did my campaign workers tell people what spot on the ballot my name was? I hope so. That's absolutely legal," LeDoux said. In early August, LeDoux's campaign paid local consulting firm Hackney and Hackney $325 to produce a two-sided mailer aimed at absentee voters who hadn't yet mailed in their ballots, campaign finance reports show. Owner Art Hackney said the work was part of a typical campaign practice known as "ballot chase." The state Elections division supplies a report to campaigns with the names of the voters who have requested an absentee ballot. The report also says when the ballots will be mailed to the voters, Hackney said. Hackney's firm creates pre-produced cards that are mailed to absentee voters, ideally arriving the same day as the ballot, Hackney said. The cards are a form of campaign advertising, encouraging the voter to support the candidate. Hackney said it isn't his job to encourage voters to request absentee ballots in the first place — that comes down to campaigns, candidates and political parties, he said. He said some campaigns do work diligently to encourage voters to request absentee ballots. LeDoux is one of the candidates known for going door-to-door, Hackney said. The state Republican party also encourages voters to request absentee ballots through a mass mailer. The mailer, which goes out nearly every election, involves filling out most of the absentee application form for the voter ahead of time, Babcock said. He said it just needs a signature and a stamp. The almost-completed form is accompanied by a letter from Babcock that encourages Republican voters to request an absentee ballot if they can't vote on Election Day. The elections division approves the forms, then the party mails them out, Babcock said. Hackney, pointing to the forms mailed by the Republican Party, said it's the signature that stops anyone other than the voter from filling it out. He said he had no idea how it happened that applications came in from people who were deceased, but the fact that it was caught was a sign the system was working. "That's what the Division of Elections is set up to do — they catch things that aren't appropriate," Hackney said. Barbara Jones, city clerk for the municipality of Anchorage, said in her five years as clerk she not heard of absentee requests in the name of people who were dead. She said she'd seen one case where a person mailed in a ballot and then died, and city elections officials counted that vote. On one other occasion, a voter requested a ballot and then died before the election, Jones said. She said the ballot was returned. Jones said the city has not prosecuted a case of criminal voter fraud in her tenure. Parents casting votes for adult children has been the main source of questionable voting, Jones said. 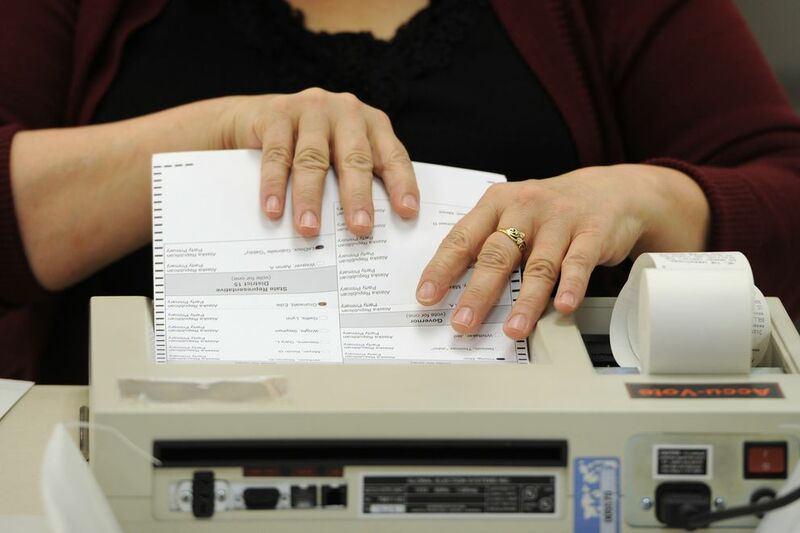 In 2017, Anchorage switched to a vote-by-mail system, which relies on a signature verification system to prevent fraud. Jones said she was impressed by the state's response so far to the voting irregularities, and that she planned to closely watch the state's investigation to learn more about what happened in case it was something the city could learn from. Babcock said Tuesday he's contacted Weaver about future plans. He said it was his intent as Alaska GOP chair to launch a write-in campaign for Weaver. LeDoux said she'll beat Weaver or anyone else who runs a write-in campaign this fall. Reporter Devin Kelly contributed to this article.